Give your trouser collection another smart and versatile pair. 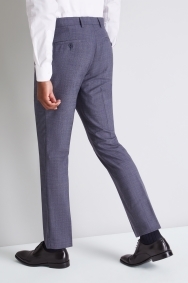 These trousers are ideal for getting you through the working week. The subtle blue is easy to wear and they’re textured for style. 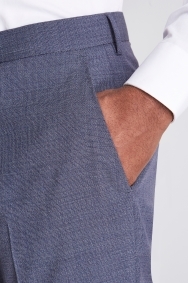 Thanks to the tailored fit, you’ll have a smart outline as they taper slightly down your legs. The wool rich fabric is soft but easy to care for because they’re machine washable. A slim fit shirt is all you need to complete your outfit. 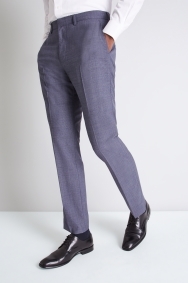 If you need to wear a jacket for work, choose a navy one – it’s the perfect match for the blue in these trousers.